The Oklahoma Farm Bureau Foundation for agriculture was formed as a 501(c)(3) non-profit to enhance awareness and understanding of agriculture’s contribution and importance to the state of Oklahoma. From promoting and assisting beginning farmers and ranchers to educating youth interested in agricultural pursuits, the foundation creates agricultural awareness.  In 2018, the foundation was renamed from the Oklahoma Farming and Ranching Foundation to the Oklahoma Farm Bureau Foundation for Agriculture to better reflect the heritage and structure of the foundation. We are still proud to work alongside our friends from across a wide swath of agriculture and rural Oklahoma as we work together to improve the lives and livelihoods of our state’s agriculturalists and residents. We have an opportunity to change the face of agriculture. Animal rights activists and environmentalists have taken on the role of gatekeeper as consumers seek information about production agriculture. As a result, consumers are misinformed. It is time for agriculturalists to step up and tell their story – the true story. If we do not, no one will. Providing information to consumers about how and why America enjoys an abundant, safe and affordable food supply is critical to changing the current public perception of agriculture. By educating our youth and encouraging careers in various sectors of agriculture, the industry will produce a new generation of agricultural advocates. By educating adults, consumers will know how their food and fiber is really produced while understanding agriculture’s contribution to society.